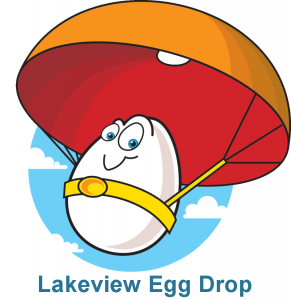 Who’s ready for the egg drop challenge? Can you create a contraption that will protect an egg from a 60 foot drop? The Kirkland Fire Department will be here with their ladder truck (as long as they don’t receive an emergency call) to see whose egg will survive! How can you keep the egg safe? Slow fall, absorb the energy of impact, etc. Which structure would be the most fun to create? Have you looked on the internet for ideas? Did you follow the rules? Some ideas include: cardboard, packing materials, fabric, tape, newspaper, rubber bands, sponges, balloons, card board tubes, glue, trash bags, and string.